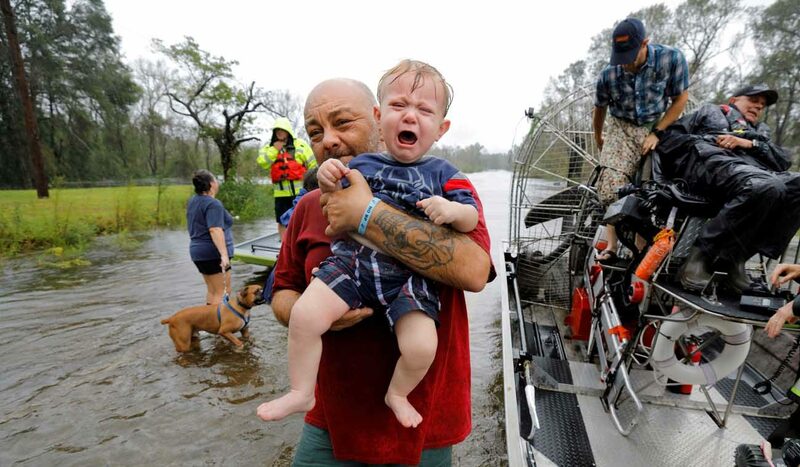 RALEIGH, N.C. (CNS) — The Carolinas were hard hit with record rainfall and flooding rivers from tropical storm Florence since it made landfall Sept. 14. And although the storm was downgraded from a hurricane to a Category 1 tropical storm, it still caused extensive water damage. At least 24 people died in storm-related incidents, tens of thousands of homes were damaged and about 500,000 homes and businesses were still without power Sept. 17. Prior to the storm, Catholic Charities of South Carolina was preparing to help those in need. Kelly Kaminski, director of disaster services for Catholic Charities, said the agency activated its Emergency Operations Center and disaster services team Sept. 10 and had been coordinating with county emergency management teams, the Federal Emergency Management Agency and Catholic Charities USA. It has been working with local partners to have water, cleaning supplies, baby items and other needed supplies readily available in areas along the coast. “But thanks to the generosity of our donors, the most vulnerable have their immediate needs met and the long-term recovery support they need to rebuild their lives,” she said in a statement. Two charity organizations, Food for the Poor and Matthew 25, had teamed up and coordinated efforts with Catholic Charities of the Diocese of Raleigh to distribute disaster relief supplies to the hardest hit areas. Food for the Poor received three tractor-trailer loads of goods from Matthew 25: Ministries for the relief effort with water, hygiene items, cleaning supplies, paper towels and toilet paper to be distributed by Catholic Charities. Daniel Altenau, director of communications and disaster services for Catholic Charities in Raleigh, said a disaster can be one of the most traumatic things a family can experience. “We are working with local partner agencies to address the immediate needs of families across central and eastern North Carolina,” he said. Those wishing to donate to Catholic Charities USA disaster relief can text CCUSADISASTER to 71777 or call (800) 919-9338. The latest information on the situation can be found at CCUSA.faith/disaster.